3 Why Use Essential Oils? Essential oils are volatile compounds distilled or pressed from aromatic plants. The term volatile may be new to you in this context. This term just means that the essential oil compounds evaporate in air. Essential oils are called oils because they are oil soluble and hydrophobic. They combine with oils and separate from water. The molecules in essential oils are incredibly compact. This fact is what makes them volatile—or easily evaporate. When applied topically to the skin, you will find that their small molecules allow them to absorb and assimilate into the body with ease. Although they are oils, most essential oils are not oily to the touch. They ward off predatory insects. They attract insects that help the plant pollinate. They guard the plant against damage caused by the sun and temperature extremes. They keep the plant's cells healthy by protecting it from bacteria, fungi, and microbial attacks. They help to heal cellular damage caused by herbivores. Essential oils are highly-concentrated compounds. Often they are 50–70 times more powerful than herbs. An often quoted example is that one drop of Peppermint essential oil is as potent as 28 cups of peppermint leaf tea. Each essential oil treats multiple—often unrelated—ailments. Essential oils can have hundreds of different compounds or constituents that make up the chemical profile. For example, Lavender has more than 200 chemical constituents. 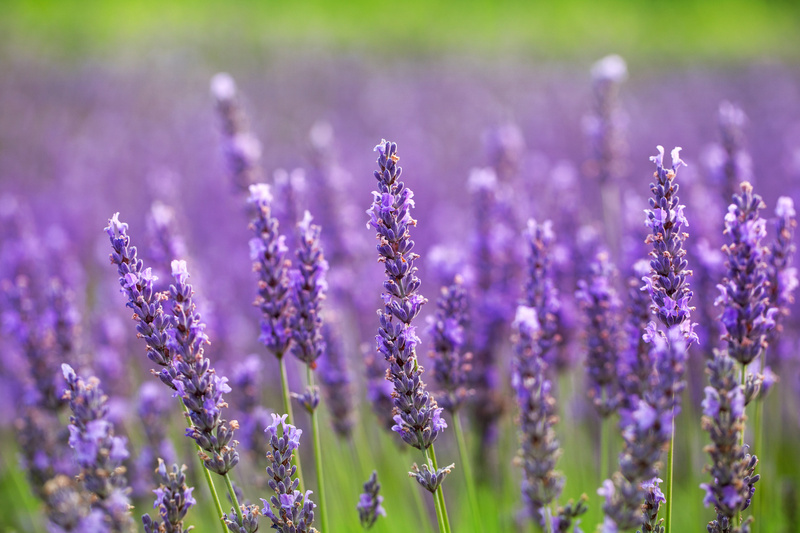 This chemical profile contributes to Lavender's diverse set of therapeutic uses from supporting a restful sleep to helping soothe irritated skin. Essential oils are produced for many purposes and from many parts of the plant. In most cases, they are either steam-distilled or cold-pressed from the plant matter. Essential oils can be found in leaves, bark, roots, stems, fruit, seeds, etc. Essential oils are both volatile (they evaporate in air) and hydrophobic (they separate from water). These characteristics allow steam distillation to work. Almost all essential oils are steam-distilled. In this method, the plant matter is compressed and placed in a sealed chamber. Steam is forced into the chamber from the bottom and through the plant matter. The steam comes out of the top of the chamber carrying the essential oils (because the oils are volatile). As this travels through a cooling system, the water and oils separate (because the oils are hydrophobic). It may be helpful to know that the water from this process is also valuable. The water retains the essence of the plant matter. And distributors sell it as hydrosol, hydrolat, or herbal distillate. The method of cold pressing is used for citrus fruits. In this method, the essential oils are extracted from the rind of the fruit with pressure and water. The rind of the fruit is scraped to open the oil sacs that contain the essential oil. Water is then sprayed over the fruit to collect the essential oils from the rind. This water mixture is then filtered, and the oil is separated from the water and collected. Solvent Extraction — This method is commonly used to create absolutes and resinoids which are not technically essential oils. This method works by separating the soluble compounds from plant materials with assistance from a pure solvent (such as ethyl alcohol). The solvent is then recovered from the compound by use of vacuum distillation and what remains is called a concrete. This concrete is then subsequently treated to create the absolute or resinoid. CO2 Extraction — This is a relatively new method that utilizes carbon dioxide in a temperature- and pressure-controlled process. The process is similar to steam distillation in which CO2 is used in place of steam. When CO2 enters the pressurized chamber, it has liquid properties even though it is in a gaseous state. This property allows it to act as a solvent and extract the essential oils from the plant matter. It does this without the heat required in steam distillation and without the solvents required for solvent extraction. Feedback is mixed as to whether this method is superior to steam distillation because the scientific literature has not yet caught up with the technology. Enfleurage — This is a method of producing essential oils that was developed in the 18th century. It is accomplished by soaking plant material in odorless vegetable- or animal-based fats. As time passes, the essential oils from the plant materials are absorbed into the fats, and the process is often repeated with "fresh" plant materials. Today this method is considered uncommon and inefficient. Essential oils have been relied upon throughout history for their therapeutic and medicinal benefits. They help us heal faster, feel healthier, and they support our vitality in a very natural and gentle way. Aromatherapy is not a panacea for all mental and physical issues. Instead, aromatherapy is a helpful complementary therapy that can be utilized along with traditional medical practices. In nature, essential oils are the defense mechanism for plants and cells. As we learned in biology, the building blocks of our bodies are very similar to plants; we are made of cells. So when essential oils enter our bodies, they go to work for us similarly as they do for the plants. They can fight against threats outside of our cells, and their compact molecular structure can penetrate our cell membranes to fight against threats inside of our cells. Most essential oils that are well-cared-for have a long shelf life and last for many years after they are opened. Citrus oils, which contain sensitive constituents, may oxidize after a few years. All essential oils should be kept away from light, extended exposure to the air, and extremes in temperature to help them remain potent. Essential oils are sold in amber glass bottles to filter out the light. It is best to store essential oils in the refrigerator—particularly citrus oils. Some essential oils do not lose quality over time. Patchouli is an example of an oil that gets better with age. The longer Patchouli sits, the more complex and aromatic it becomes. It should be noted that it still should be cared for in the same methods as mentioned above to maintain its potency. Many essential oils dissolve petrochemicals. Lemon essential oil is particularly known to have this characteristic. Because of this, you should avoid having your essential oils come into contact with plastic. They should always be stored in glass containers. If you are using pipettes, then they should ideally be made of glass. If you are making recipes with essential oils—such as sprays and dilutions—it is recommended that you also use amber glass bottles. Amber glass bottles will help preserve the integrity of the oils. All names of essential oil suppliers and proprietary blends are trademarks of their respective holders. Our use of these trademarks is simply for product identification and does not imply any relationship with them or endorsement by them. — All website code and content are copyright ©2019 by Drop Essentials LLC. Diffuser Blends is a trademark and service mark of Drop Essentials LLC. The "Add Your Blend" essential oil blend image generator uses patent pending software. Blend images, recipes, and other blend information may be shared via Creative Commons License BY-NC-ND 4.0. Login or register to view all menu options and gain access to thousands of essential oil recipes. Questions? Visit our home page.